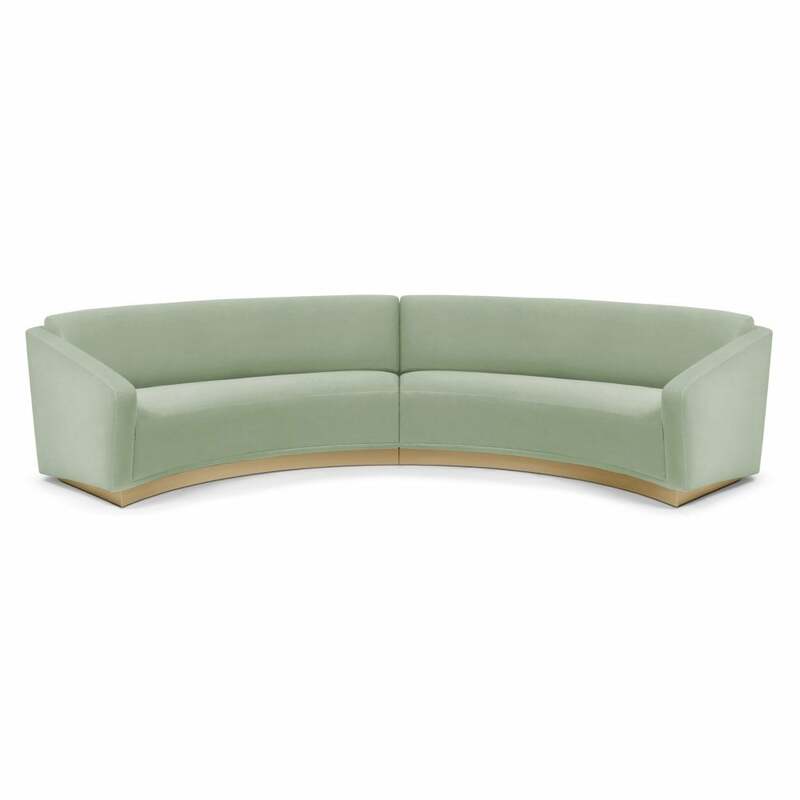 The Ferdinand sofa is the embodiment of magnetism. Featuring tailored upholstery and stylish brushed brass plate footer, it is masterfully crafted with an emphatic, yet elegant, curved contour. Effortlessly poised, the Ferdinand is a statement piece that exudes a serene energy in a living space.